Great White Way choreography always dazzles the eyes, but in Broadway's Bandstand, the movement plays a role all its own. 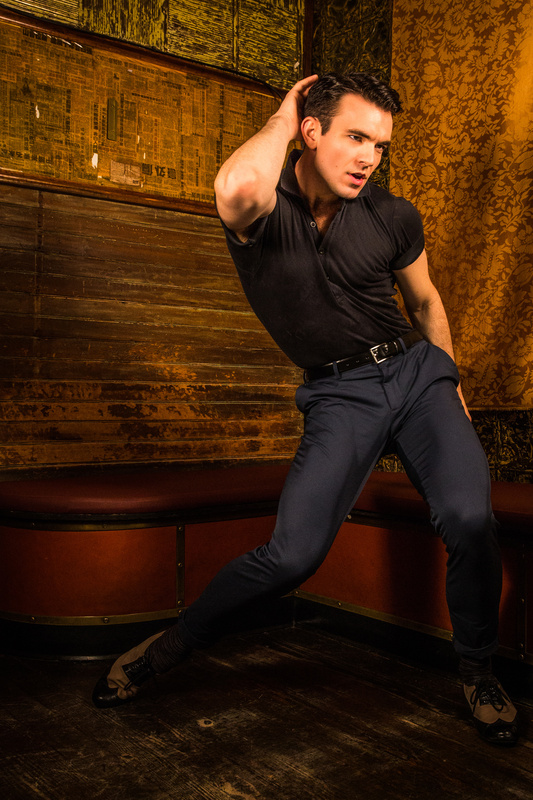 Director/choreographer Andy Blankenbuehhler's Tony-winning choreography sets the scene, ensnares the senses and invites audiences into the smoky, swanky nightclubs of the 1940s. Nevertheless, it's not all raised glasses and brassy sounds on full blast. The dance in Bandstand is integral to some of the more painful storytelling at hand about the reality of being a war veteran. Bandstand's highly talented ensemble melds these two sentiments beautifully; these dancers present a true feast for the eyes, illuminating a perfect marriage between Broadway show-stopping and staying true to the tough stuff. Photographer Matthew Murphy captured Bandstand ensemble members Max Clayton, Andrea Dotto, Ryan Kasprzak, Jessica Lea Patty, Erica Mansfield, Morgan Marcell, Keven Quillon, Ryan Vandenboom and Jaime Verazin bringing the swing in the speakeasy-esque Pete's Candy Store in Brooklyn. Broadway.com has got your password inside. Peek the gorgeous pics, watch the video and prepare to cut a rug. Laura Osnes and Corey Cott star in this new musical set amidst the 1940s swing scene.